So, finally, after ages, this Sunday we got a chance to try Lou’s Diner, that is indicated by many as the best burger in Luxembourg. The spot, as the name suggest, is not a real restaurant, but a diner – you order at the counter, pick up your burger when your number is called and can decide to eat it in the inside structure – that is still partially open, but heated by powerful heating mushrooms – or on the terrace. We actually didn’t have this choice as this Sunday the weather was awful, but I suppose it might be really nice laying on the benches outside on a sunny day. Lou’s Diner is located near Junglinster, 15 minutes drive from the city, in the green – very easy to find with a GPS, indeed. From Wednesday to Saturday, Lou’s Diner is open from 11.30 am to 9 pm, while on Sunday and Tuesday from 3 pm to 9 pm. We got there at 3 pm and we were the third clients on the queue – luckily, as after only 5 minutes, the place got completely packed. Clients were various: from families with kids, to teen-agers to guys on a day out. The choice is “limited” to less than a dozen burgers, including one vegetarian option and one chicken option. 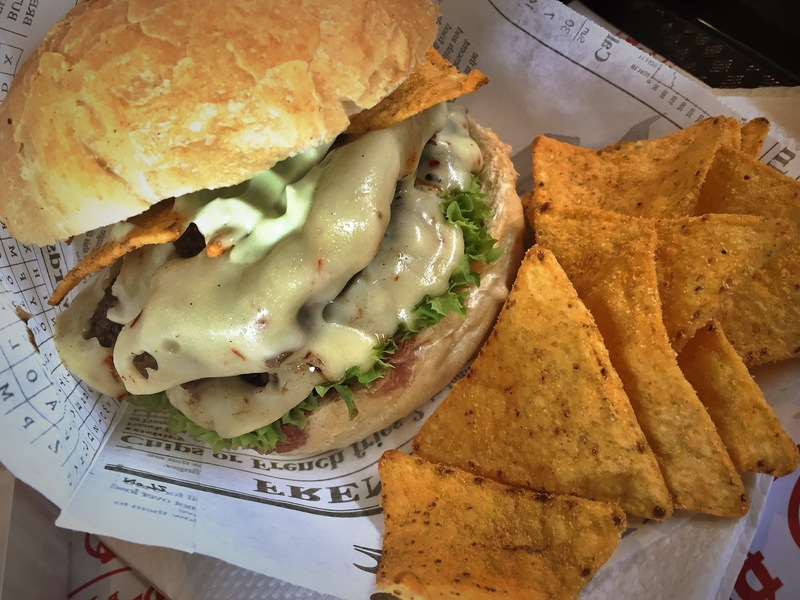 I went for the burger of the month, the Tortilla burger, prepared with avocado sauce and tortilla chips, while hubby had the New York, with bacon, onions and egg. We both ordered fries, one with simple mayo and one with chilli mayo, and two Cokes. The bill came out surprisingly low for Luxembourg standards: 25 euros in total for 2 burgers, 2 fries, 2 cokes. Here you find the pictures of our lunch, followed by my impression about Lou’s Diner. Relaxed location, lovely atmosphere, perfect for evading the stressed and formal routine of Luxembourg city restaurants. Quality – Price: super thumbs up. We had a super good lunch for the same price of a fast food, but the quality was indeed extremely good – better than some restaurants! Fries are to die for. I am not sure Lou’s are the best burgers in Luxembourg, but for sure they have the best fries. Those alone are worth the trip – double portion next time! 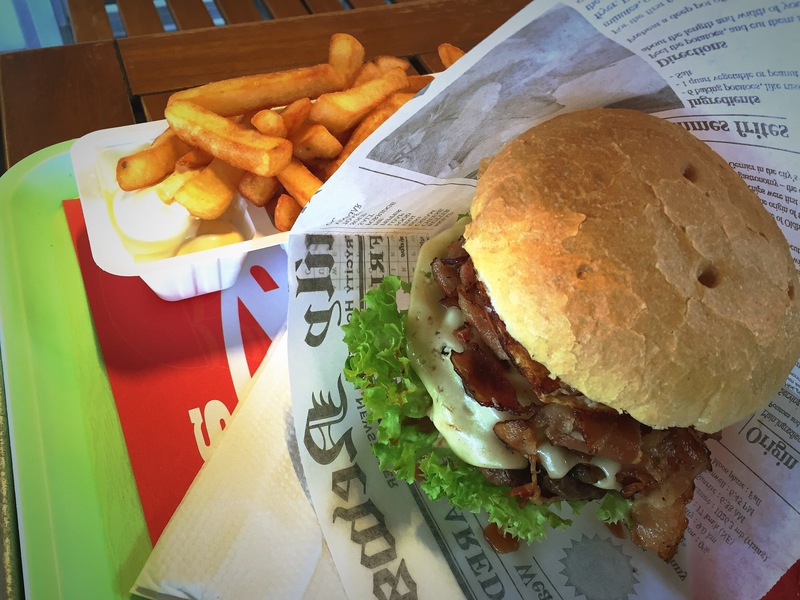 Very tasty burgers with classic and local alternatives – on the “to try list” the one with potatoes gallettes for hubby and for me the one with onion rings. After reading amazing reviews, I had very high expectations. 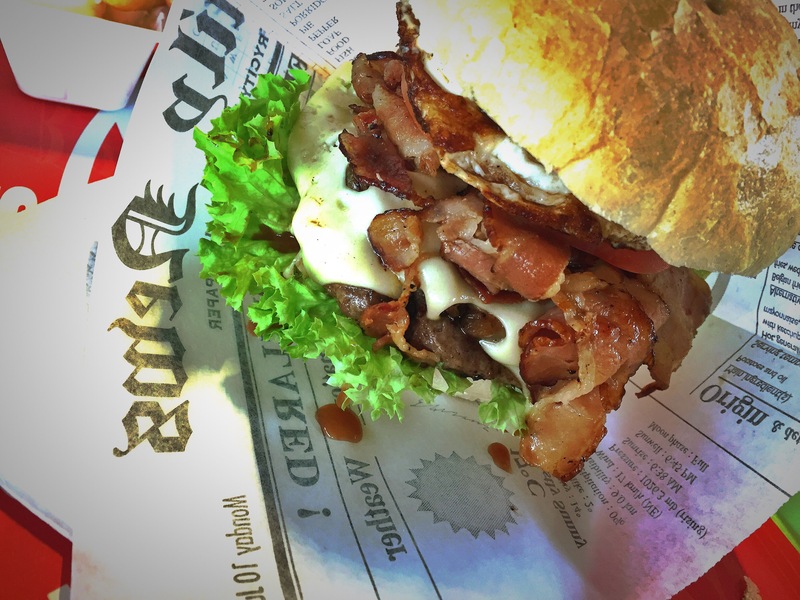 They were not deluded, if only I have to find a point, I didn’t like very much the burger buns – toward which I am really sophisticated, and indeed I found only one place so far which has burgers buns I loved. While for us the accommodation and the location were super satisfying, if you have a posh attitude, this is not the place for you. To conclude: Lou’s Diner is worth a drive out of the city. You get there only for the burgers, as the menu does not offer more. 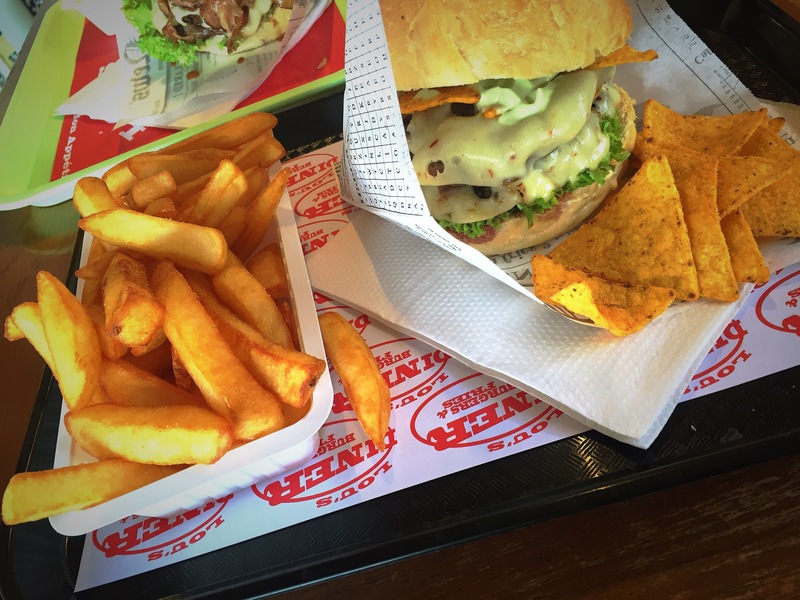 It is perfect for a late Saturday/Sunday lunch and burgers are very tasty and fries simply amazing. Highly recommended for meat lovers, cheat days and after a walk in the forest.